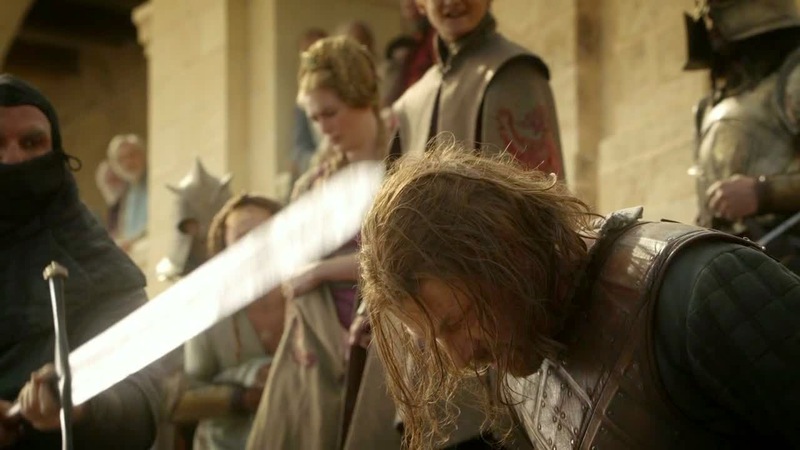 Ned Stark survived his ‘death’ at the hands of King Joffrey, that much is certain. We know that the Starks are all wargs, that is that they can shift their minds into other creatures. We’ve seen that with Bran’s powers, but also that of Jon Snow and his direwolf, as well as the other Stark children to a lesser extent. Genetics plays a huge part in the story as we have seen via hair genes, so it is not a reach to assume that Ned Stark also had the powers of warging, potentially much more powerful as his mighty genes were watered down amongst his children, and we’ve seen how good they are at it. We also know that wargs can continue to live on after death in a ‘second life’ in the minds of their creatures, such as the Wildling warg that Jon Snow kills who continues to live in his eagle. So if Ned was a powerful warg, he would have clearly warged into something at the time of death. But where? He keeps Sansa close as he is a loving father but also pushes her away as she is his daughter and doesn't want to marry her. He still manages to keep her on her toes with impish threats, as any father would! Who does Ned blame most for his death? Robb, of course, who did not sweep in and save him. Ned Stark was an honourable man. As king, he kept the corruption of King’s Landing in check by curtailing the number of prostitutes active in the city. He even reclaims his sword Ice, though has his grandfather recast it so that he can hold it in a new, smaller and lighter form. Ice is Ned’s sword, so why else would ‘Joffrey’ have it? Sadly, Ned's masterplan to bring peace to Westeros is foiled when he is poisoned at the purple wedding. He immediately wargs into the next available host... Tywin! However Tywin is by far a more formidable mind, and we need see Tywin (proof!) forcefully expelling Ned from his body. Where Ned goes next will clearly be the focus of the next book. I believe that he travelled via the sewers to Meereen, where he brought the plague down upon Dany. Time will tell!